Mr. Jean-Claude Biver, Chairman of the Board of Hublot, was awarded an honorary degree (Doctorate Honoris Causa) from BSL at the 25th anniversary ceremony in 2012. He was selected for the award in recognition of his exceptional contribution to the success of the Swiss watchmaking industry. During his impressive career, Mr. Biver was a CEO of Blancpain and a member of the board of directors of Swatch Group. He was the first to introduce a luxury brand in the world of football, providing Hublot with an international exposure as the Official Timekeeper of FIFA. He is also behind the distinction of Hublot as Timekeeper of Formula One. 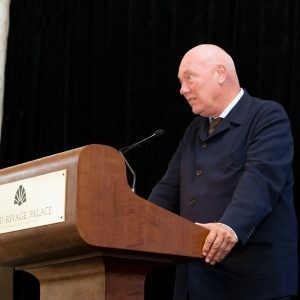 In a commencement speech to the graduating students of BSL on Saturday, 22 September 2012, Mr. Biver shared his personal insight and advice about achieving professional success.